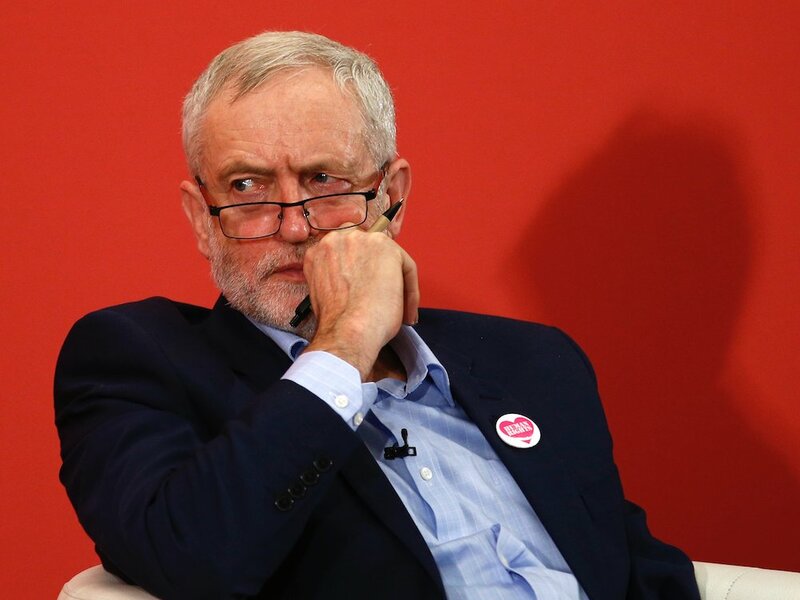 Jeremy Corbyn: The papers are trying to undermine him again [Image: Peter Nicholls/Reuters]. The Graun and the Sunday Times really are scraping the barrel in their search for ways to undermine the Labour Party, aren’t they? Now leaked Labour focus group results are being presented as research into which shadow cabinet members would be popular successors to Jeremy Corbyn. Perhaps it hasn’t occurred to the hacks writing this nonsense, even after two successive years of Labour leadership elections, that the process runs to a rigid pattern. First, there has to be a vacancy, or a challenge – there isn’t one. Then, MPs have to put themselves forward – they aren’t chosen on the basis of whether they’re “charity shop-looking”, “weird”, “aggressive” or “rough”. Potential candidates (but not an incumbent, if a challenge is taking place) must win nominations from 20 per cent of their fellow Labour MPs. And then they have to win the support of the Labour Party membership on a one-member, one-vote basis. To be honest, these focus group responses seem completely out-of-touch with the performances of the ladies in question. Angela Rayner has been a rising star of the Labour front bench, who regularly trounced Nicky Morgan when the latter was Education Secretary. The subject may have been overshadowed by Brexit recently, but Ms Rayner will have her chance to shine again. And Rebecca Long-Bailey has been performing admirably in the shadow Treasury team. Her appearance on the BBC’s Question Time last week showed that she can handle Tories with ease – no mean feat while the likes of Claire Perry and Ann Widdicombe were trying to shout her down. These are dedicated, sincere people who genuinely want to help the people of their constituencies and those covered by their shadow cabinet briefs. To be tarred by derogatory references in mass media news outlets reflects badly – not on Labour or the MPs concerned, but on the newspapers reporting this tripe. Labour has denied that a poll conducted in the north of England to test the appeal of frontbenchers was about finding Jeremy Corbyn’s successor. The Sunday Times obtained a leaked copy of internal party polling that used a focus group testing voters’ reactions to shadow business secretary Rebecca Long-Bailey and shadow education secretary Angela Rayner. According to the Sunday Times, the focus group responses to Rayner were “overwhelmingly negative”. The MP for Ashton-under-Lyne was judged by the group to be “not likeable”, a “bit charity shop-looking” and “weird”, with one participant suggesting voters would not take her seriously, the newspaper reported. Long-Bailey, a former lawyer and the MP for Salford and Eccles, was viewed more favourably with the group describing her as “passionate”, “genuine”, “sincere” and “very smart”, although some saw her as “aggressive” and “rough”. Admit it, you’ve been dying for an invite, like I have, to join a Tory focus group so you can sabotage them, haven’t you? And that’s just what happened to these groups way back, I’ll bet-they’re voters, not even verified Labour voters, let alone members. Probably a good job William Wilberforce, Winston Churchill & Clement Atlee never used focus groups regarding slavery, fighting Hitler or setting up the NHS, as I suspect all three would have been told the group didn’t agree with them. Politics seems to be full of leaks. Might of been a good business opportunity for Pimlico Plumbers? !